Zettaly portable smart wireless speaker lets you enjoy your favorite multimedia content with a 7″ display, and built-in Google Play allows you to access to various apps. Need more features? Let’s keep checking. 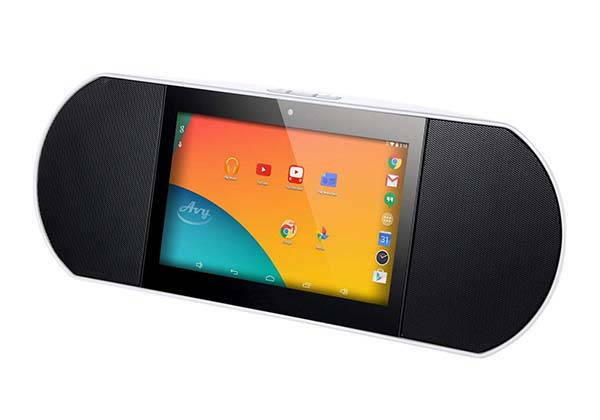 The Zettaly is an Android powered smart speaker that measures 13.78 x 4.61 x 4.72 inches and weighs 2.2 pounds. 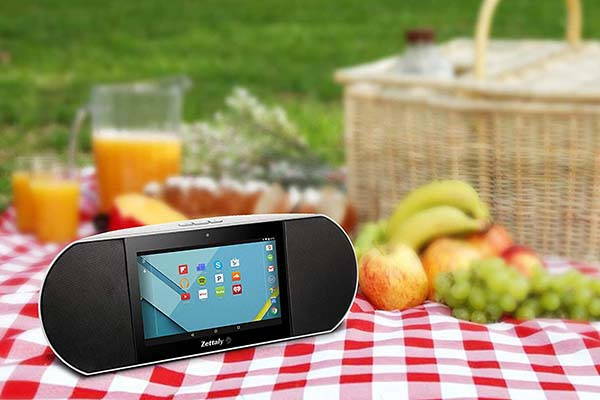 As we can see from the images, the speaker shows off a smooth and elegant appearance design, and the compact form factor allows you to easily put it in your bag for various outdoor activities like camping, picnic and more. With 10W drivers, the portable wireless smart speaker delivers clear and balanced stereo audio, and it runs Google Android 6.0 OS. Using built-in Google Play, you can easily install various apps for your Zettaly such as iHeartRadio, TuneIn, YouTube and more. In addition to streaming music, the speaker serves as a multimedia player with an integrated 7-inch touchscreen display so you can also use it to enjoy more multimedia content. Moreover, built-in Bluetooth technology also allows it to work as a portable Bluetooth speaker that streams music from your mobile devices. In addition, other specs also include 1.3GHz quad-core processor, 1GB RAM, 8GB internal storage, microSD card slot supporting up to 32GB, HDMI output, VGA front camera, microphone and a remote control. Apart from these, built-in rechargeable battery offers up to 7 hours of music playback between charges. 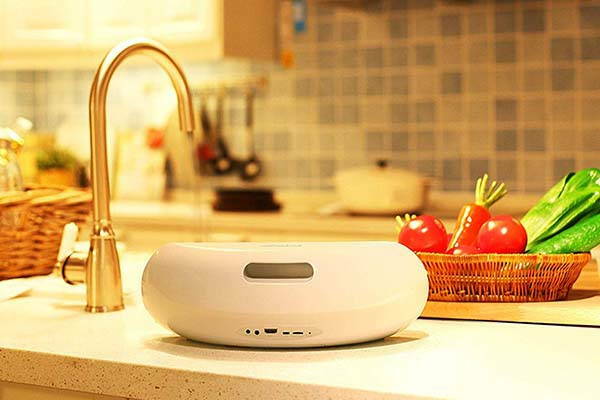 Zettaly portable smart wireless speaker is priced at $130.99 USD. If you’re interested, jump to the product page for its more details.